Tuesday 16 December The editor of Turkey's biggest selling newspaper was among two dozen press and broadcasting staff arrested in dawn raids on Sunday as part of President Erdogan's crackdown on supporters of his former ally Fethullah Gulen, a Muslim cleric now based in the US. The two have been in conflict since members of Erdogan's team were implicated in a corruption investigation that led to the resignation of three ministers this time last year. Since then thousands of police, judges and lawyers have been moved from office amid Erdogan's claims that Gulen was operating a parallel government. Now Erdogan has targeted Gulen's media supporters, including Ekram Dumanli, pictured, editor of the million-selling daily Zaman, and two of his journalists. Hidayet Karaca, chairman of the Samanyolu television station, was also held, as were a number of screenwriters. 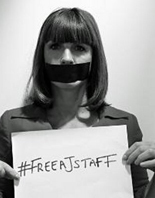 The arrests have been denounced by journalist organisations all over the world, including the NUJ, the CPJ in America, and the International Federation of Journalists. Human Rights Watch and the EU have also spoken out against the action, but Erdogan has described it as a "necessary response to dirty operations" that had nothing to do with press freedom. Nor did he appear concerned about the possible impact on Turkey's application to join the EU, saying: "We have no concern about what the EU might say, whether the EU accepts us as members or not, we have no such concern. Please keep your wisdom to yourself." Zaman has been openly hostile to critics of the Gulen movement, including journalists who are on trial for "aiding an armed terrorist organisation and inciting hatred and hostility", and Dumanli's arrest on the same charge prompted some ironic tweets. 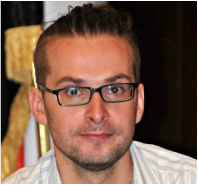 Saturday 6 December The American photojournalist Luke Somers was shot by his al-Qaeda captors in Yemen this morning during a failed rescue mission by US special forces. He died of his injuries while being taken to an American warship. Somers's fellow hostage Pierre Korki, a South African teacher who was to have been released tomorrow, also died. My name is Luke Somers. I’m 33 years old. I was born in England, but I carry American citizenship and have lived in America for most of my life. It’s now been well over a year since I’ve been kidnapped in Sana’a. Basically, I’m looking for any help that can get me out of this situation. I’m certain that my life is in danger. 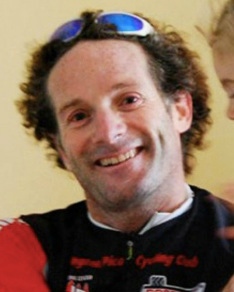 Somers is the third American journalist to have been killed by kidnappers since August. James Foley and Steven Sotloff were murdered by ISIS terrorists after being paraded in propaganda videos. Three aid workers - Britons David Haines and Alan Henning and American Thomas Kassig - have since been killed by ISIS, which is still holding the British journalist John Cantlie. Korki and his wife Yolande were kidnapped in the city of Taiz in May last year. Mrs Korki was freed in January and the charity Gift of the Givers said that her husband was due to be released tomorrow. Last month American and Yemeni forces raided an al-Qaeda safe haven and freed eight hostages including Yemenis, a Saudi Arabian and an Ethiopian - but Somers and five other captives, including a Briton, had been moved. Are we fit to stand alongside James Foley? How will we remember David Haines? 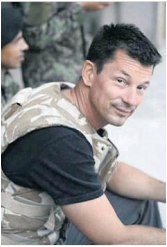 Tuesday 28 October The British photographer John Cantlie has appeared in a sixth video delivering a propaganda message for Isis. Instead of wearing the "Guantanamo" orange robes in which he had been seen before, he was dressed in a black shirt for what was presented as a documentary-style walkabout in Kobani. The battle for the city was coming to an end, he said. It is not clear whether Cantlie was really being filmed outside. In a previous video Cantlie said that he had watched fellow hostages leave their cell, never to return, adding: "I await my turn." A 2,000-word article, allegedly written by Cantlie, has also been published in an Isis magazine. Cantlie was kidnapped in Syria in 2012 and freed after a week, but was snatched again with James Foley. Foley was murdered in August, the first of five victims - two American journalists, two British aid workers and a former US soldier - whose deaths were recorded in videos posted online. 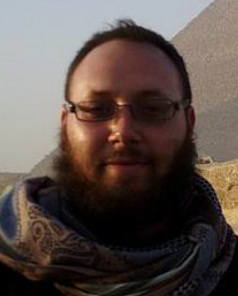 Wednesday 3 September Steven Sotloff has become the second American journalist in two weeks to be murdered by the Islamic militants Isis. He was kidnapped by the organisation last August, but a news blackout had been in effect in the hope of securing his release. 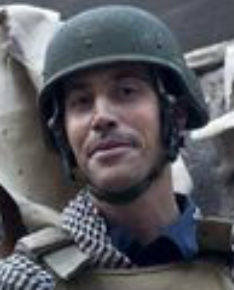 Sotloff, 31, had been marked out as the "next victim" in the video of the murder of James Foley on August 19. A third American journalist, who had been held hostage for 22 months by Al-Qaeda's Syrian wing, was released last week after the intervention of Qatar in international negotiations for the release of all kidnapped Americans. Theo Curtis was abducted by Al-Nusra on the Turkish border as he was about to enter Syria in October 2012, but the kidnapping had been kept secret. His family said no ransom had been paid. Why don’t we get the hell out of the Middle East and let the murdering bastards get on with it without us? Until we work out quite where we stand (crouch/hide/retreat?) in this crazy modern form of warfare in which no one knows whose side anyone is on and where an enemy’s major objective seems to be to wage jihad on English-speaking journalists, the media should do a Dunkirk. Wednesday 20 August Mohamed Fahmy, the Al-Jazeera English Cairo bureau chief, has lodged papers appealing against his conviction for fabricating news to help a terrorist organisation and seven-year jail sentence. The papers describe the case against Fahmy as illogical and incomprehensible, and accuse prosecutors of obstructing the defence by demanding £140,000 to see evidence that was never in fact produced. Fahmy is being represented by the renowned human rights lawyer Amal Alamuddin, who is now probably better known as George Clooney's wife. 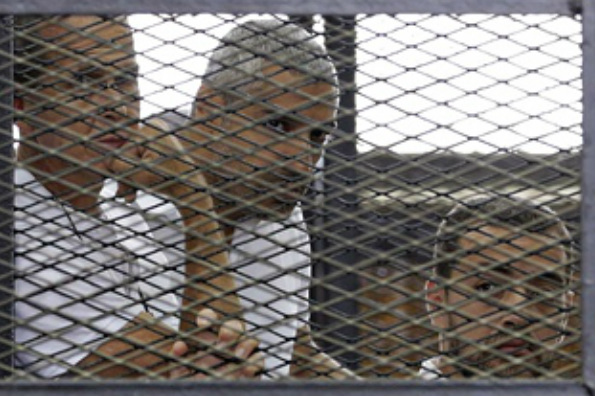 Peter Greste and Baher Mohamed, who were convicted along with Fahmy, have also lodged appeals. Of course we should be getting worked up about journalists being jailed for doing their job, but it is tenable only if we also emphasise the wider injustices. Because we aren't special people. The whole point of us is that we represent the ordinary man and woman in the street who doesn't have the same opportunity to question authority or to make their voices heard. 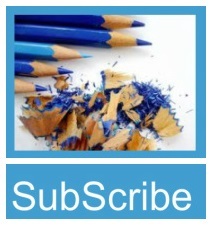 - The SubScribe commentary: Why should we care about journalists? Rick Beeston, the distinguished and much-loved foreign editor of The Times, died of cancer in May last year, aged 50. On the anniversary of his death his widow Natasha Fairweather and the paper announced the inauguration of a bursary in his name. Applications are invited from journalists for the £6,000 award to spend six weeks abroad researching and writing an article for The Times. A second award, of a similar sum, is available for a journalist who has experience of working the Middle East to spend six weeks on attachment to the Times foreign desk in London. 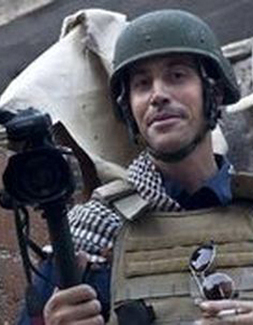 Are we fit to stand alongside war reporter James Foley? Freelance photojournalist James Foley was taken hostage in Syria on November 22, 2012 and killed by the Islamic State group on August 19, 2014. 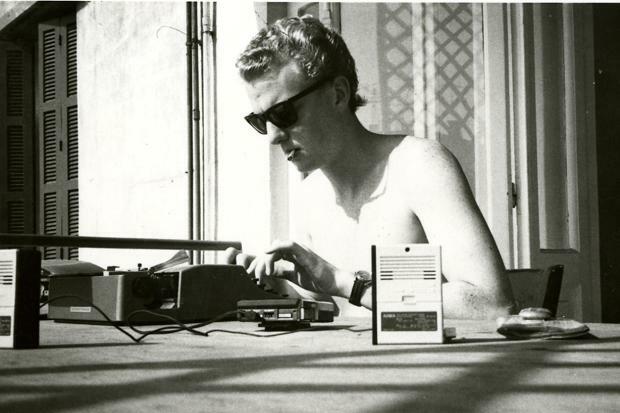 He could just as well have been an aid worker, a contractor or a banker - or even one of the countless other reporters killed every year for their work. Yet we hold him up as an example of the importance of journalists. 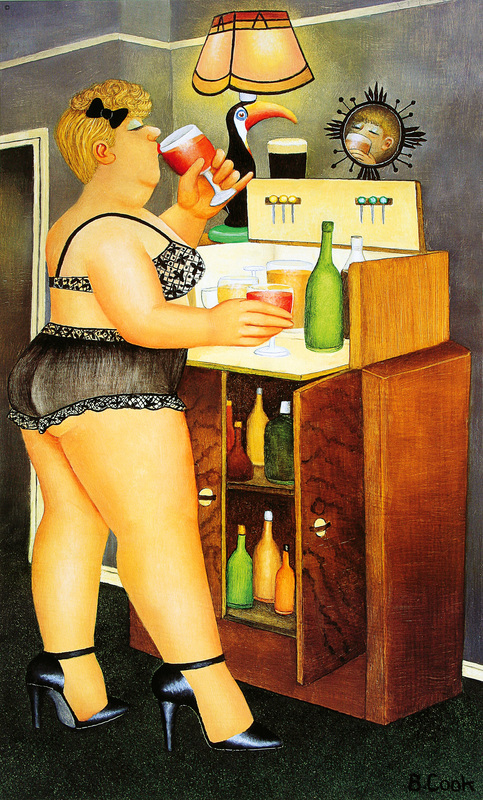 What does it tell us about ourselves, our trade and our attitude to it? 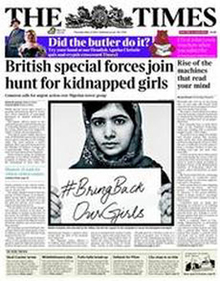 Twitter put the smug British press to shame over the kidnapped Nigerian schoolgirls, with the case staying out of the papers until the Bring Back Our Girls social media campaign became too loud to ignore. But isn't it the job of the professional journalist to shine a light into the darkest corners? How did we fail to recognise this story? Why did we not tell it properly rather than doze for three weeks until Malala popped up? This was a great occasion like no other. 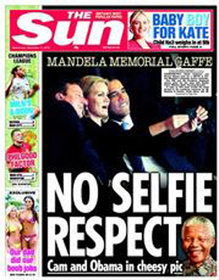 South Africa and the world had gathered to pay tribute to Nelson Mandela. This was neither sombre funeral, nor sober religious service. This was a celebration in a football ground. They came to praise Madiba, not to bury him. Then Helle Thorning-Schmidt took a photograph of herself between a laughing Barack Obama and a grinning David Cameron and all hell broke loose. didn't stand up for Crimea, why should Putin stop there? but who ordered the murder? 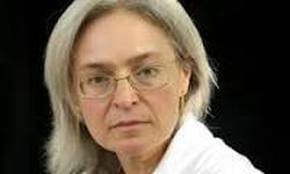 June 9: Two men were jailed for life for the murder of the Russian journalist Anna Politkovskaya in 2006. Three others convicted of the killing were jailed for between 12 and 20 years. Politkovskaya was known for her outspoken books and journalism and her criticism of the war in Chechnya and Vladimir Putin - and it is still not known who ordered her murder. Michael Scott Moore, who was kidnapped by Somali pirates while researching a book in January 2012, has been released. The pirates say a £1m ransom was paid. Moore, 45, has German and US citizenship. Germany would not comment on claims about the ransom other than to say "Germany cannot be blackmailed." US policy forbids the payment of ransoms.